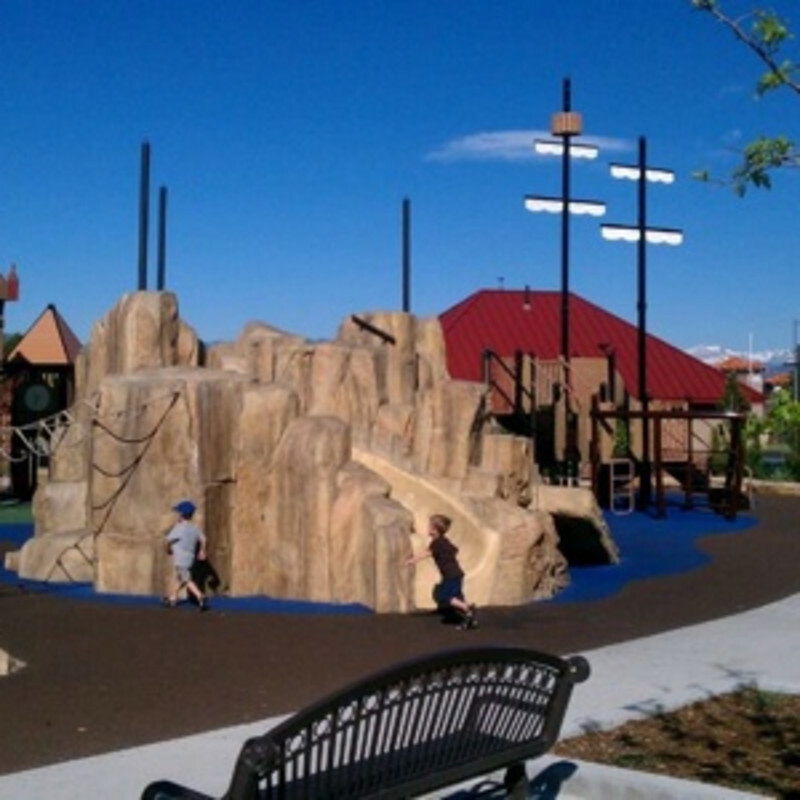 Perhaps better known by its visitors as “Peter Pan Park,” the Westminster Center Park sprawls over 9.5 acres which include a walking trail, plaza, playground, amphitheater, water features and grassy expanses. The playground itself is based on Neverland, the vibrant world created in the classic Peter Pan story. There is a pirate’s cove and ship-themed play equipment, a Neverwood Forest with tunnels and slides built into the artificial logs and boulders, and an interpretation of the Darling House that Wendy, John, and Michael lived in. This fantastical park will have children and parents alike singing “I won’t grow up,” just like Peter Pan did.